Gated community. Immaculately kept 2015 built Meadow Pointe III 2 bed/2.5 bath townhouse with no backyard neighbors with peaceful conservation view. 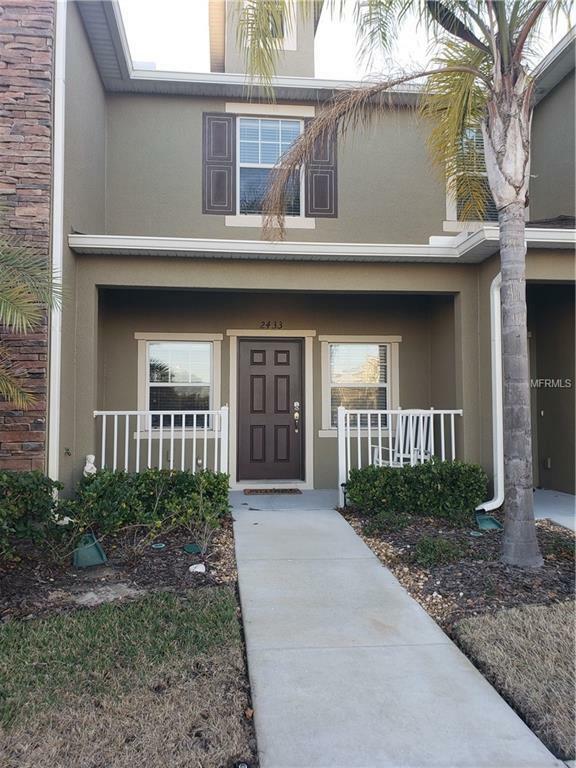 Granite counter tops in kitchen, ceramic tile floors, 42 inch cabinets, stainless steel appliances, upgraded ceiling fans/light fixtures, screened-in/covered lanai, newer washer/dryer, and more! Double pane windows and heat shield roof protection. Home is also equipped with inner wall insect repellent system. Located in fantastic community of Meadow Pointe with A-level schools!! Enjoy the clubhouse, workout facility, large pool and outdoor courts. All in the heart of Wesley Chapel, close to The Shops at Wiregrass, Outlet Mall, restaurants, colleges, and Florida Hospital. Life is good in Wesley Chapel. Make your appointment today to view this property.